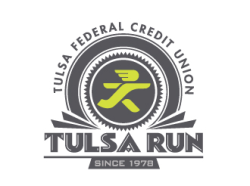 NOTE: Those that register for the bus and race before 10/25 will have their packets delivered to the bus upon arriving in Tulsa. Those that registered late will still be able to pickup their packet at the race day pickup tent. Does not include your race entry fee!!! Click Here to Register for the Race!!! We take care of the details -- you take care of the running! Bus Amenities: Restroom, reclining seats, reading lights, overhead and under coach storage. Passenger Pickup: Bus passenger pickup will be far north Oklahoma City - exact location - TBA. The bus will be parking close to the start/finish line. Return to OKC: Bus will leave Tulsa around noon. Race packets will be delivered to those riding the bus.... no need to drive to Tulsa the day before!